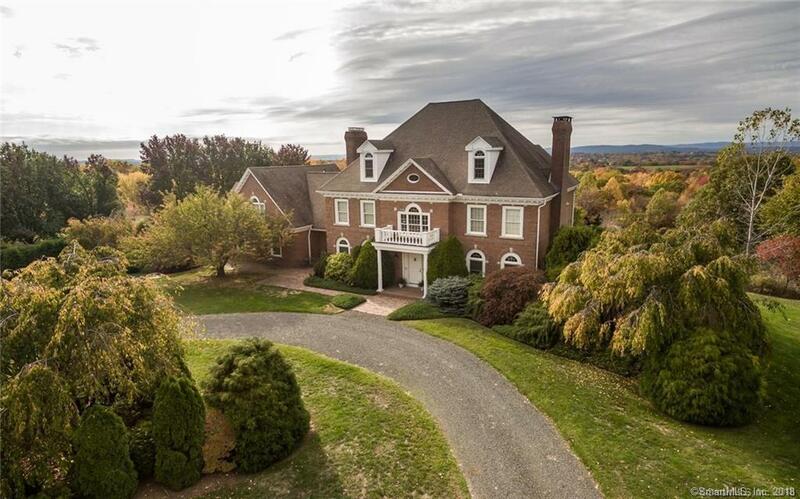 Thrill to astounding views and perfect privacy from this elegant Georgian home on nearly 6 acres surrounded by vineyards. Youâll approach down a tree-lined driveway. The extensive grounds, graced by specimen trees, are surrounded by woods and an endless, peerless view to the west and the best ever sunsets. Grand foyer with double staircase. Cherry-paneled library with fpl; large Dining Room also with fpl and opening onto the Music Room. The kitchen is fitted with hand-carved maple cabinets, granite worktops, two Miele dishwashers, a large island with bar sinkâ¦perfect for entertaining.The spacious Great Room, with its bay window and large brick fpl, and is filled with beautiful light throughout the day.Both the Great Room and the Music Room open to the conservatory, with its 180-degree views of the surrounding countryside. Also on the ground floor are two half baths, one with Japanese toilet with integrated bidet. Upstairs, youâll find five spacious bedrooms, a laundry room and three full baths. The Master Suite boasts a fireplace, separate dressing room and a gorgeous his-and-hers bathroom with two sinks, two toilets, bidet, a large free-standing tub and walk-in shower. In the basement, youâll find a finished living area affording extra space for work or play, a wine cellar, a cedar-paneled exercise room with full bath that leads out to a deckâ¦perfect for soaking up the sun or dining with friends and family. The carpet runners leading to upper level do not convey.